Appery.io Steals the Show at the TechCrunch Disrupt Hackathon! As many of you know, we formally launched Appery.io at the TechCrunch Disrupt hackathon in New York. We came back from it super stoked about Appery.io and just wanted to share some of our excitement from the event. 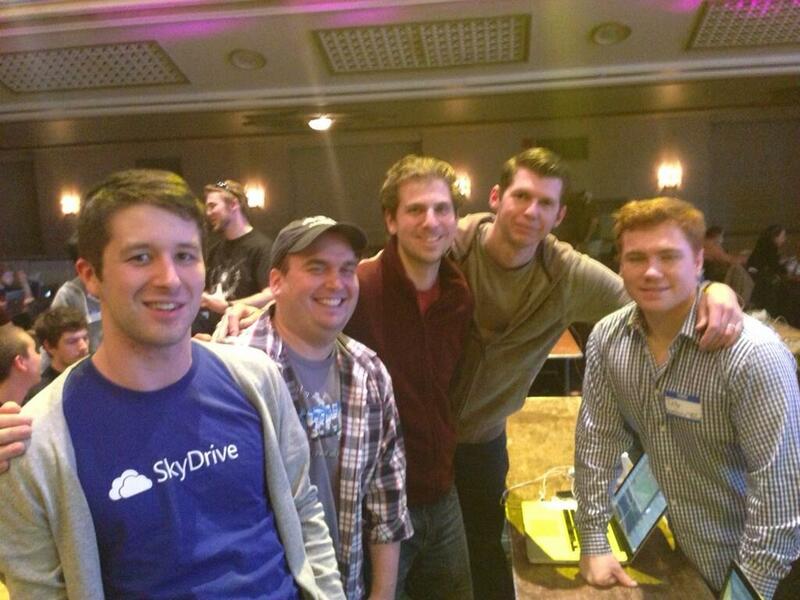 Appery.io was the product most widely adopted by developers at the Hackathon! More than 30 teams completed and submitted their projects, and many of them won prizes! This is a TechCrunch record. 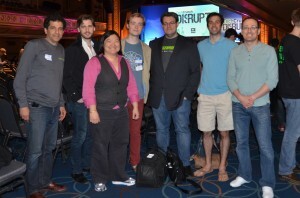 A distant second was TechCrunch itself — who was promoting its CrunchBase API — with 15 teams. 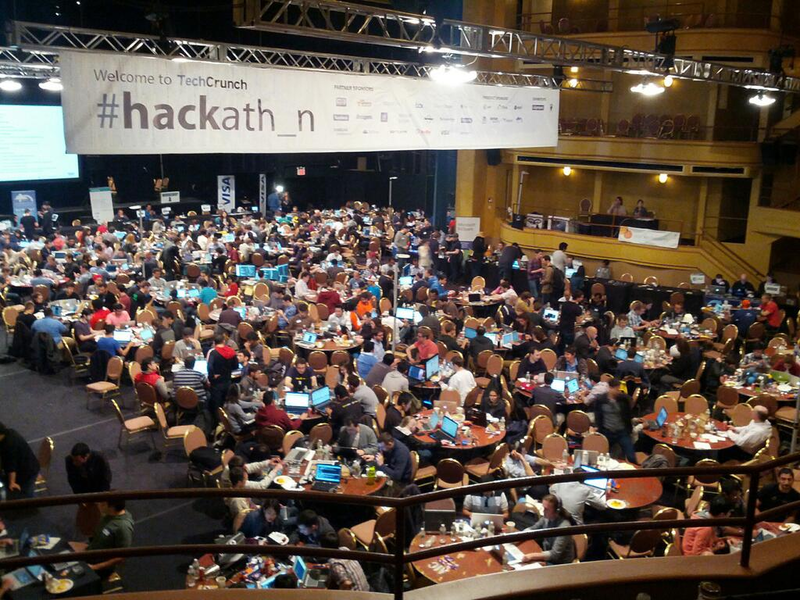 This was TechCrunch’s largest Hackathon to date with over 1,100 developers. Check out the scene in the picture below. Congratulations to the Bar Power (1st), Career Hound (2nd), and Waterlog (3rd) teams for winning prizes in our contest! We were impressed with the innovation and quality of all the projects built in Appery.io — other Appery.io projects won prizes from other sponsors as well, including prizes from Visa and AT&T! Developers loved the large collection of plug-ins in the Appery.io catalog. These plug-ins allow developers to add ready-made connections to popular APIs. 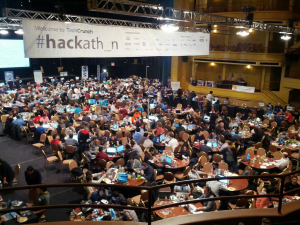 APIs used at the Hackathon included Twilio, CrunchBase, Foursquare, AT&T, The New York Times, SendGrid, Weather Underground, SkyDrive, LinkedIn, Pearson, Yammer, Facebook, and ESPN. Tons of developers continued their hacks through the night fueled by the sheer excitement of the event and lots of caffeine! There were so many teams developing on Appery.io that we decided to not sleep that night, so we could provide developers all the help they needed. We had a team of three onsite plus a remote team providing support via Skype. Our support table was the most popular by far, with lines throughout the night. 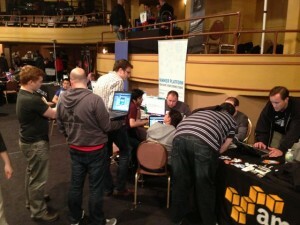 We were humbled as 30 teams presented their Appery.io projects on stage to a crowd of over 1,000 influencers. Many thanks to all the developers and designers who participated. We are looking forward to seeing many of your projects turn into real businesses! You can watch a few of the presentations on our YouTube channel using this playlist. Also, check out more pictures and buzz from the event on Storify.